"Billing/Mailing Country Code: bad value for restricted picklist field: X"
The reason for this error is that since you have state and country picklist enabled, Salesforce only allows to choose from the list of countries that is offered, meaning that you can not add a new country by yourself. So when we import, if we cannot find the county that would match the Salesforce list, we use the one that you have in the source tool. 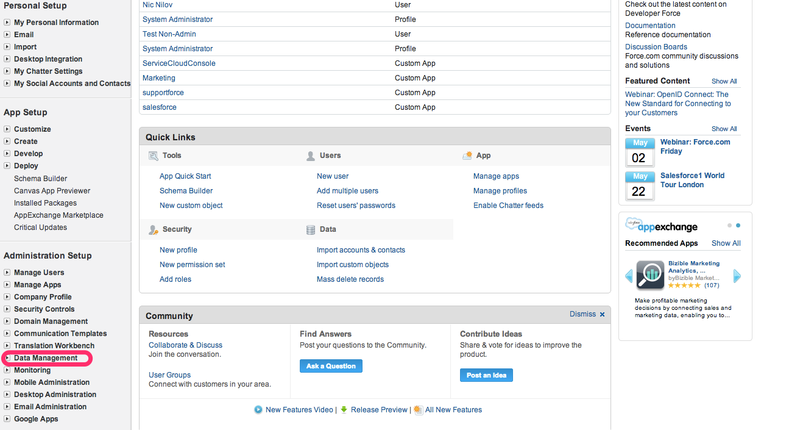 Login to Salesforce and Click "Setup"
2. Click on "Data Management"
3. Click on "Controls for State and Country as a Picklist"
4. Under "Disable State and Country Picklists" click on "Disable" button.